After months linked to the job, Arsene Wenger has finally admitted he does not want to be involved with PSG. Manchester United will have to part ways with one of their fans' most beloved players by the end of the season, as negotiations to extend his contract have not ended properly. Earlier this year, Jose Mourinho had revealed that he was waiting for the summer to start working again. Today, his potential destination has been revealed in a report by The Mirror. Will the uptick in form of Mario Balotelli inspire Marseille against PSG in Le Classique? 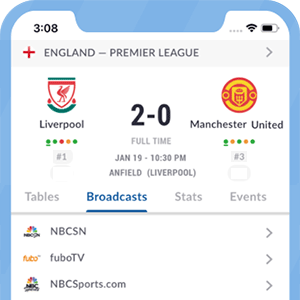 Live Soccer TV's match preview provides team news, match facts, and global broadcast listings for PSG vs. Marseille. Added to these players, Sporting Director Antero Henrique will be sacked by the club's owner for his poor results. PSG will take on Montpellier in their make-up game on February 20. LiveSoccerTV's match preview provides team news, match facts, and broadcast listings for PSG vs Montpellier. LiveSoccerTV's match preview provides team news, match facts, and broadcast listings for Monaco vs Nantes on Saturday, February 16 at 14:00 EST (20:00 CET).